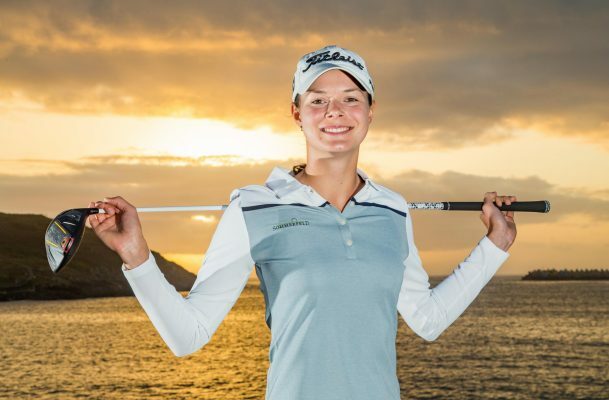 European rookies Linnea Ström and Esther Henseleit met up on the Jetty at Coffs Harbour to watch the sunrise over Muttonbird Island on Wednesday ahead of their Ladies European Tour debuts in the Pacific Bay Resort Australian Ladies Classic – Bonville. 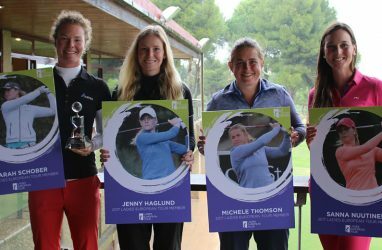 Sweden’s Ström, who finished second at Lalla Aicha Tour School in December and is one of the great hopes of European women’s golf, will start her LET career on Thursday morning, while Germany’s Henseleit, who finished third at tour school, will tee off her season in the afternoon. Ström, who represented Europe in the 2013 PING Junior Solheim Cup and won a gold medal in the mixed team event at the Nanjing Youth Olympic Games, is feeling confident and has multiple LET order of merit winner Sophie Gustafson as her caddie. Henseleit, a member of the 2017 PING Junior Solheim Cup team, who recently turned professional with a handicap of +7.1, is travelling with her coaches from Golf Team Germany.  England’s Sian Evans, Ireland’s Leona Maguire, France’s Emie Peronnin and Indian trio Astha Madan, Diksha Dagar and Tvesa Malik complete the list of eight LET rookies in the field of 144.